The LANK “H” series offers 3 watts of output power from a package in IC compatible 24 pin DIP and SMT configurations without derating to 71ºC ambient temperature. 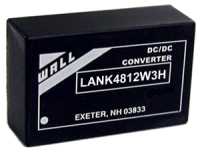 The LANK “H” Series has 2:1 wide input voltage of 4.5-6, 9-18, 18-36 and 36-75VDC; it also offers both single and dual ouputs. 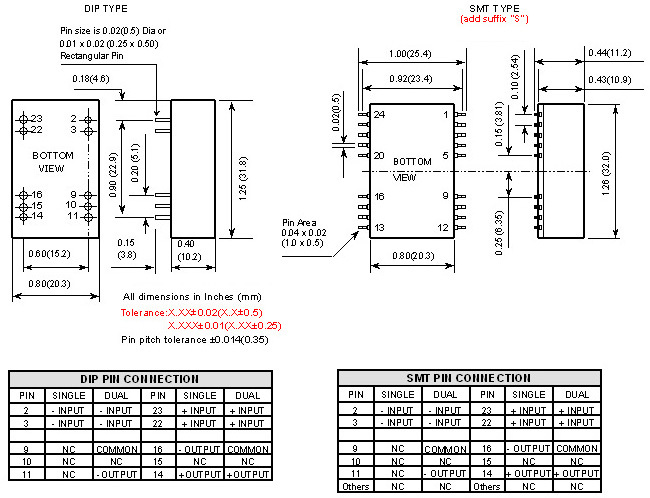 This series features 3000VDC of isolation and short circuit protection. Add suffix “I” for –40°C to +71°C ambient operation. All models are particularly suited to telecommunications, industrial, mobile, telecom and test equipment applications. Notes: 1. 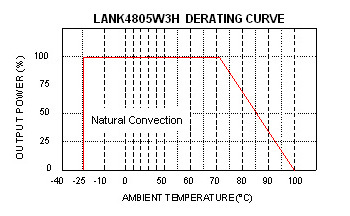 LANK "H" Series requires a minimum 10% load on the output to maintain specified regulation. Operation under no-load condition will not damage these devices; however, they may not meet all listed specifications. 3. Input current is measured at nominal input voltage and full load of standard type. 4. Efficiency is taken at nominal input voltage and full load. 5. Max Capacitor Load is tested by minimum Vin and constant resistive load. 6. MTBF: BELLCORE TR-NWT-000332. Case 1: 50% Stress, Temperature at 40°C. (Ground fixed and controlled environment). 7. Add suffix "I" for -40°C to +71°C operation. 8. Add suffix "S" for SMT type.